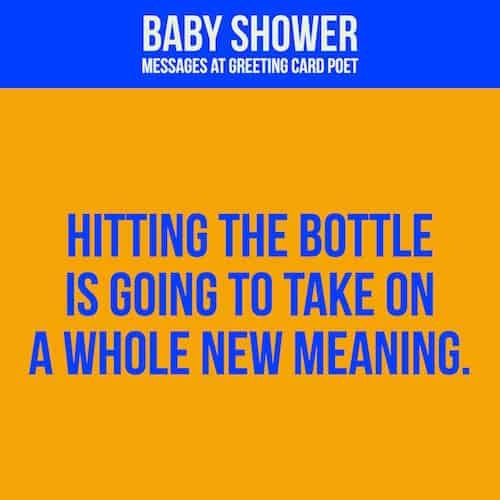 These baby shower wishes and congratulations are in order for new parents who are on the verge of one of life’s miracles, or who have just experienced the birth of a child. Baby showers are special occasions as friends and relatives gather to wish a new mother or new parents the best as they start to take on one of life’s most important roles – that of being a parent. Cake is eaten, presents are given and wonderful baby shower wishes and congratulations are passed on. 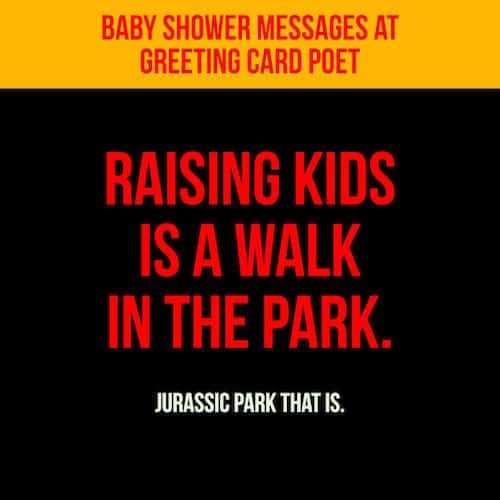 Here’s your opportunity to get your message across in style with these fun baby shower messages. To the soon to be parents: May your new bundle of joy bring you much more happiness! They say that angels smile when babies laugh. There should be a lot of smiling going on above us with parents as perfectly suited for the role as you two. All our best to your little miracle. Congratulations on your new little someone to love! Babies are God’s miracles – we’re so happy for you! Couldn’t be more excited to shower you and your new baby in love today. Congratulations! Can’t wait to help you count all those fingers and toes. You’re going to be an amazing Mom! Congratulations Mama Bear and Papa Bear. Baby Bear is just right – perfect in every way! Congrats on a brand new miracle to call your own. Your new arrival is blessed to have such wonderful parents in you two. Congratulations! A toast to the bun in your oven! 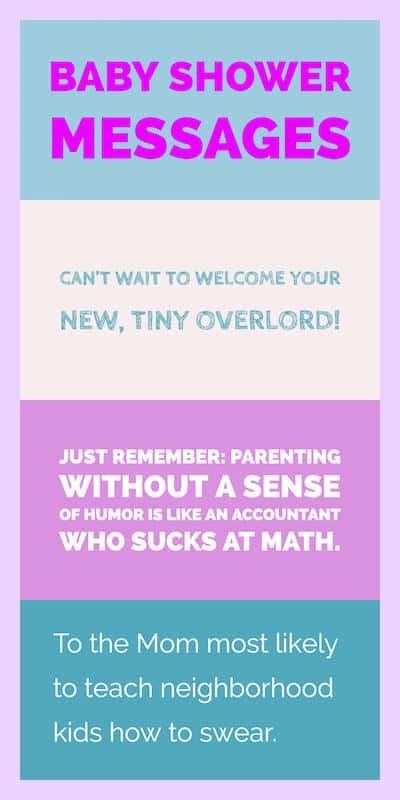 Can’t wait to welcome your new tiny Overlord! To the Mom most likely to teach neighborhood kids how to swear. The stork was like the first drone delivery. But, oh what a package you were delivered. Congrats. Parenthood is one of the best journeys in life. Buckle up and enjoy the ride. We looked up “amazing parents” on Wikipedia, and your photos popped up. Congrats and have fun with your new delivery. Oh Boy, oh boy, oh boy! It just doesn’t get any better than this! Enjoy! And to the King and Queen, a new prince is born and the kingdom rejoices. We love watching your family grow! Enjoy every step along the way! May your new son bring you much happiness in life. Your baby boy is a gift from God. You’ll be saying prayers of thanks every night. A bundle of joy wrapped up in pink will be the newest addition to your family. We couldn’t be happier for you! Congrats! We can’t wait to see her sweet smile! Congrats. How happy you must be with your new daughter to love. There is nothing more precious than a baby girl to love. You must be tickled pink with the addition of your new baby girl. Hip hip hurray for the addition of your sweet baby girl! Your newest tax deduction is as cute as can be. Congrats. Wishing you and your baby love, laughter and sunshine. While held briefly in your arms, a baby is held forever in your heart. Congratulations. A new baby makes love stronger, days shorter, nights longer, savings smaller and homes happier. To say they grow up too fast is an understatement. Enjoy every precious second. Although miles apart, welcoming your baby with lots of love. We are so thrilled for you! All you need to know to parenting: YOU’RE GOING TO BE GREAT! A baby is one of life’s miracles. Enjoy every minute of being a parent. May the joy and wonder of a new baby bring much happiness to your home. Your grand adventure is about to begin. I couldn’t think of a better guide for a newborn than you. 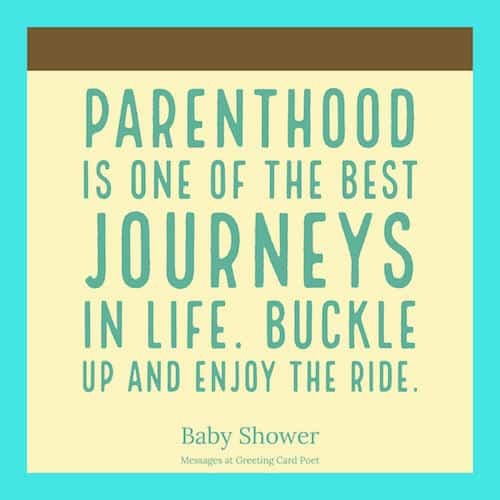 Enjoy your parenthood adventure and let us know if there’s anything we can do to help. God bless you and your baby on this special day. Cute as a button and adorable in every way – Congrats! To your darling newcomer and the perfect parents! May God bless you and your baby. Here’s to one of the greatest treasures in life – parenting a child. Learn about the legend of storks delivering babies and stork bites. To the many happy and wonder-filled times ahead waiting for you. Congratulations! 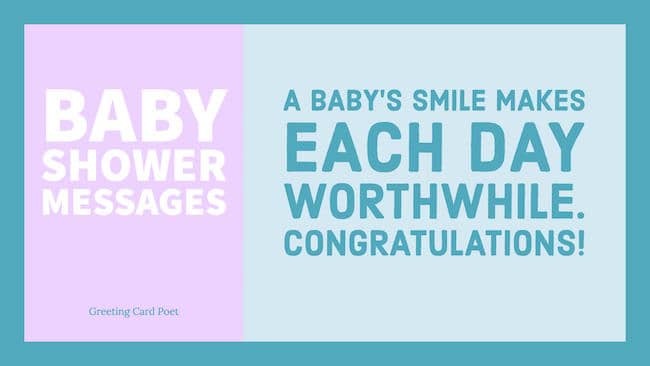 A baby’s smile makes each day worthwhile! To a lifetime of happiness. We are so happy for you and your new arrival. The wait is over and the fun has just begun! So happy for you and your family! Sending you the warmest wishes as you welcome your new angel home. All of our love to your new baby and best wishes to Mom and Dad! Congratulations and best of luck. You are going to be great parents. Happy snuggling with your new cutie! As you prepare room for the new addition to your family, please know that our thoughts and prayers are with you every step of the way. Wishing you all the happiness that parenting can bring – and then some! May your home be blessed with the arrival of you new child. A new child is one of life’s greatest blessings from above. Don’t forget to pamper yourself a little after putting on the pampers. Wishing you a safe delivery and all the joy that comes with being a new mother. As you haven’t been able to drink in 9 months, I’ve filled in for you. Congrats and your welcome! You’re on Baby Shower Wishes and Congratulations.